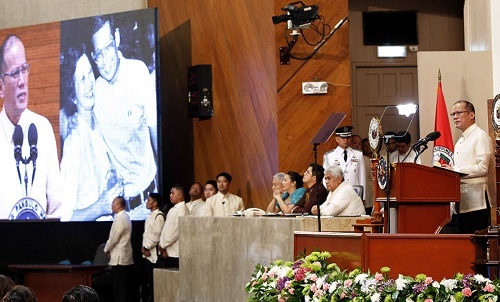 2015 SONA [Photo credit: gov.ph] People have asked for my take on the SONA speech but I’m inclined not to judge it. I take it at face value, a report card packed with information and human interest profiles. I don’t really care for all the critiques done by others who claim greater wisdom, and who would have done it better, differently, or right if they had been President. Or who would have run the nation better if they had been in charge.